Making My 7th Doctor Costume: Tetraps on eBay! 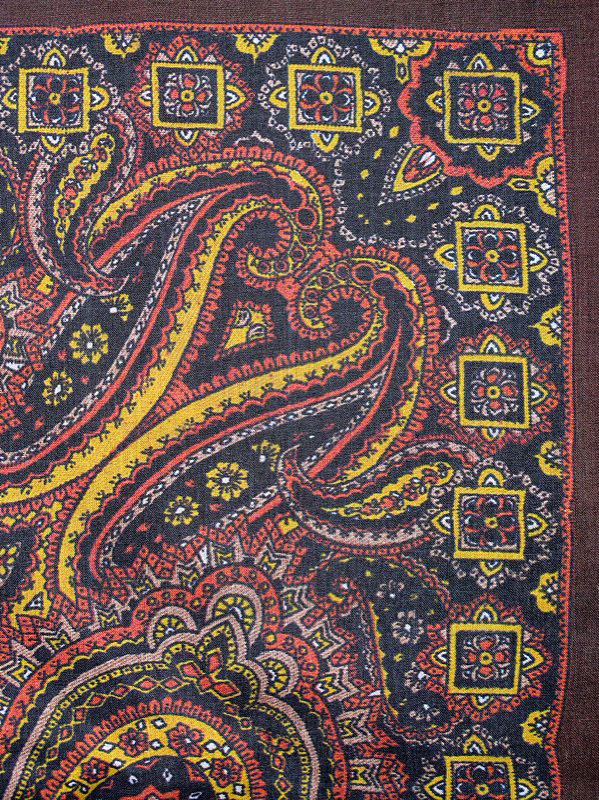 This week on eBay I spotted part of an original Tetrap costume from Time And The Rani. 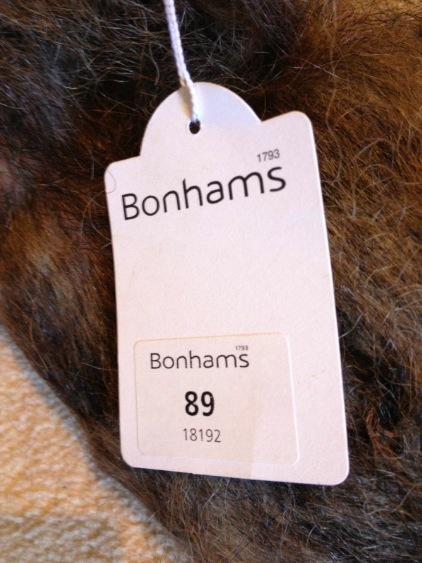 The torso with part legs and arms was original sold at the 2010 Bonhams Auction, but is sadly missing a head. Well, it just so happens a Tetrap head is also for sale - though this is a replica which may or may not have been displayed at exhibitions. 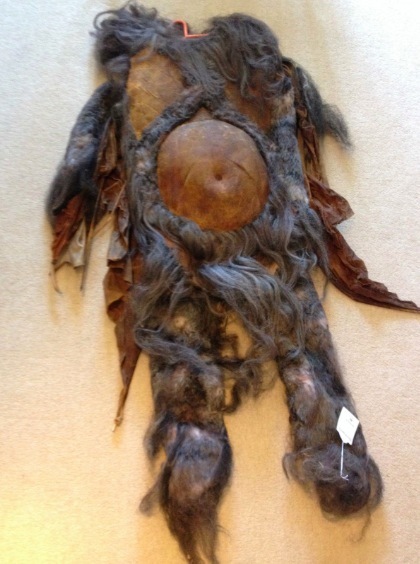 Lot 89 at the Bonhams 2010 Doctor Who Auction Time and the Rani, September 1987 An original Tetrap costume. The Tetraps were the bat-pig-bear hired heavies working for the villainous Rani as she terrorised the planet of Lakertya. This costume is in excellent condition considering it is over 27 years old. It look like it is fresh from the set of Sylvester McCoy's debut story. There are very few signs of degrading. 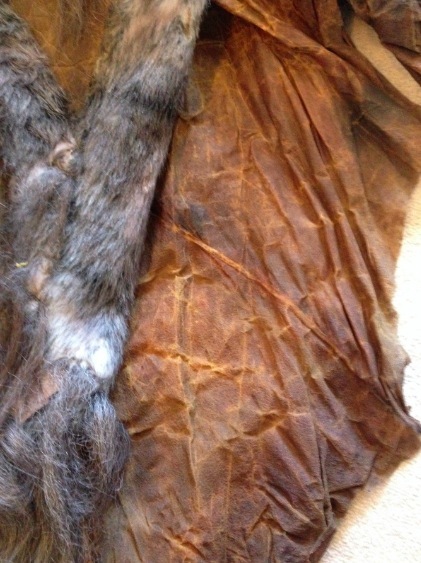 The actual base of the costume is a one piece fabric body suit decorated in goat's fur. The wings too are in very good condition. They are made of real leather, ribbed with a skeletal piping. 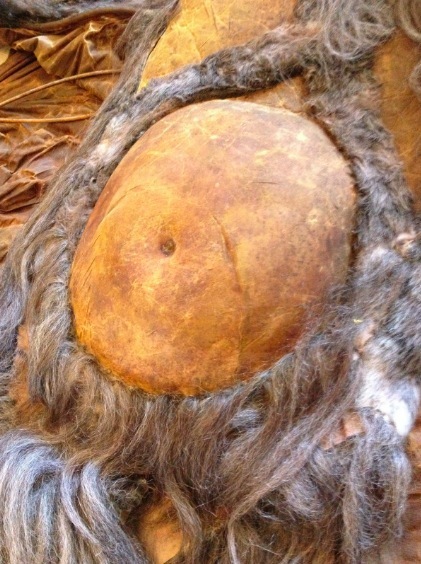 The chest and stomach are made from foam latex. After much research I have discovered that this costume was for many years exhibited at the MOMI Doctor Who exhibition at London's South Bank, hence the superb quality. Good luck and thanks for bidding. Incredibly rare prop replica. Made by BBC visual effects for the Longleat Doctor Who Exhibition circa 1996 after the famous fire which destroyed many of the props. Cast from the original Tetrap moulds which have long since been destroyed. I purchased this directly from the BBC visual effects department for a small fortune after the exhibition no longer required it. The Tetraps were the bat-pig-bear hired heavies for the villainous Rani as she terrorised the planet of Lakertya. They were first seen in Sylvester McCoy's colourful debut "Time and the Rani" 1987. 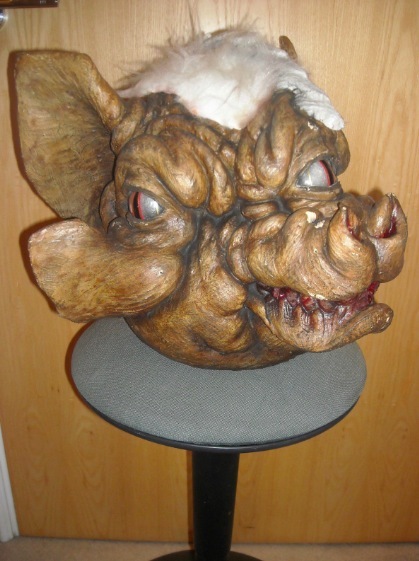 This is cast is sturdy foam latex and expertly air brushed and decorated with four plastic eyes and realistic fur. 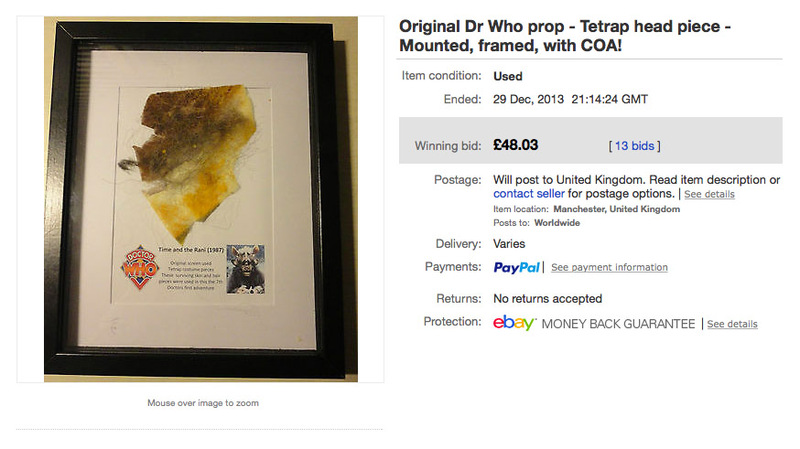 Own an interesting piece of Doctor Who memorabilia. One of a kind. Thanks for looking and good luck with the bidding! Time and the Rani, September 1987 A Tetrap paw inscribed "Urak", moulded and painted latex, with faux fur. 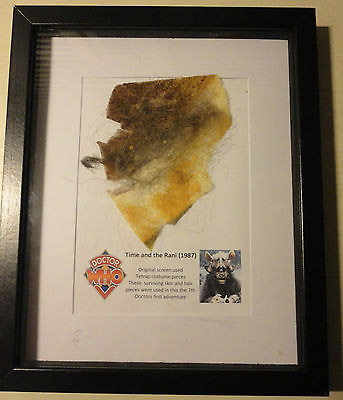 Purchased at the Bonhams 2010 Doctor Who auction lot 87. 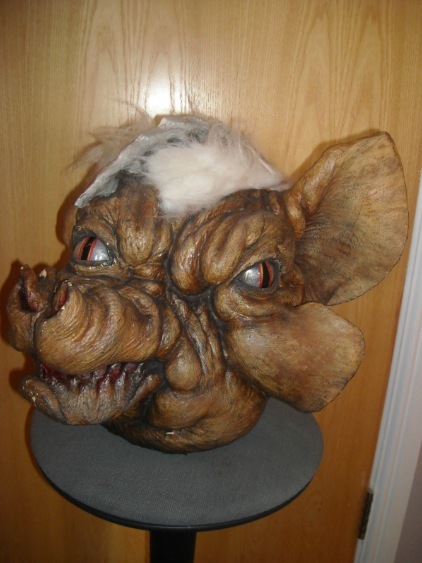 Original Dr Who prop - Tetrap head piece - Mounted, framed, with COA! 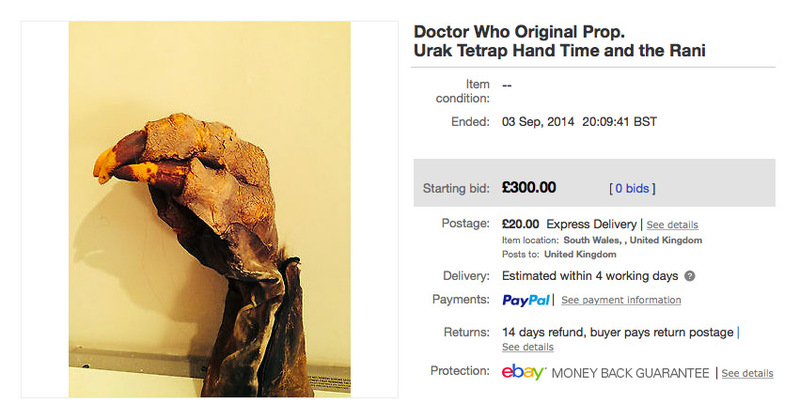 This is an amazing item - an original dr who prop from the 1980s! This is from the 7th doctors first story. The tetrap are iconic villians. Unfortunately, only two are know to survive in full. 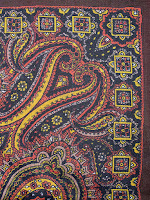 This item is from a costume that was bought from bonhams and was deteriorating rapidly. 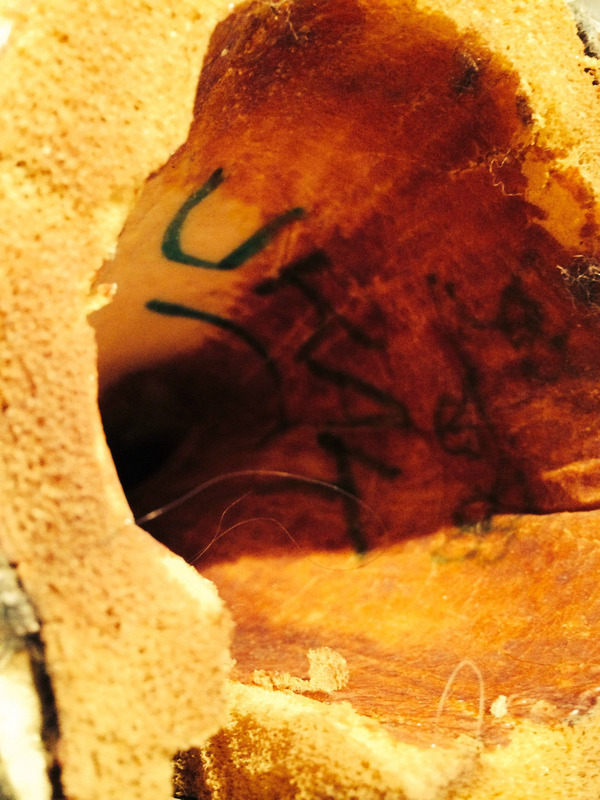 This is one of the remaining pieces of the costume. The hair colour, texture and skin are unmistakable. It is mounted in a fantastic 3d display. A once in a lifetime opportunity. International bidders please email for bidding, as postage cost is actual. GOOD LUCK!